Measuring competitiveness in the meat industry market: are there any oligopolies in Serbia? 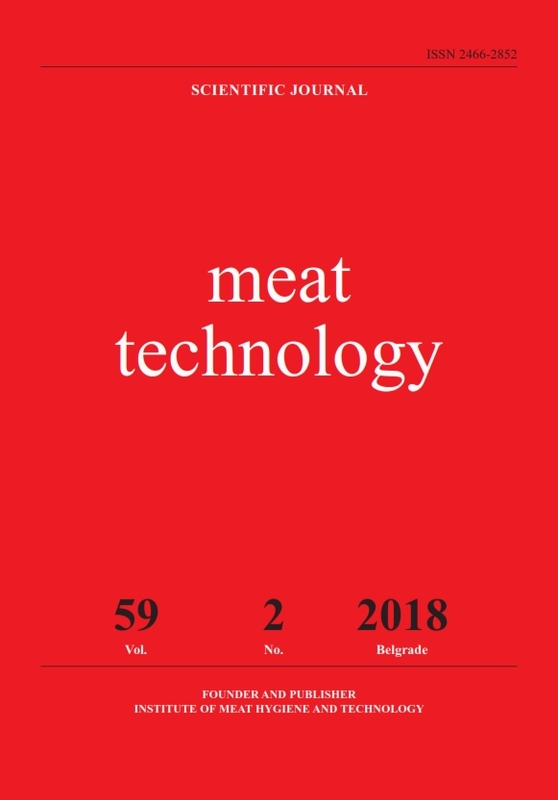 | Scientific journal "Meat Technology"
Measuring competitiveness in the meat industry market: are there any oligopolies in Serbia? Production of meat and processing of meat products is a very significant part of the food industry. In order to secure economic growth and development, especially in the meat industry, it is very important to provide free competition for the business entities that operate within it. Therefore, the main purpose of this study was to measure market concentration using the Herfindahl-Hirschman Index (HHI), in order to determine the competition level in the Serbian market. Furthermore, the HHI should provide evidence of any business entities that hold monopolistic or oligopolistic positions on the market. Moreover, another aim of this study was to define to what extent business entities in the Serbian meat industry export products and goods to international markets. The 350 companies that reported the highest revenues during 2013-2017 and which are registered in this sector were studied.